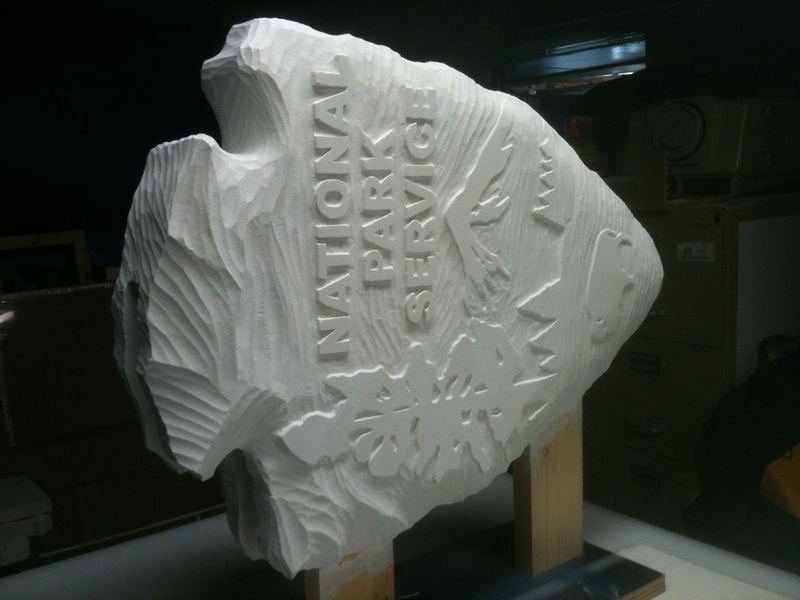 By now you’ve probably seen our blog and our monthly “HDU Blog Roundup” featuring the previous month’s articles. 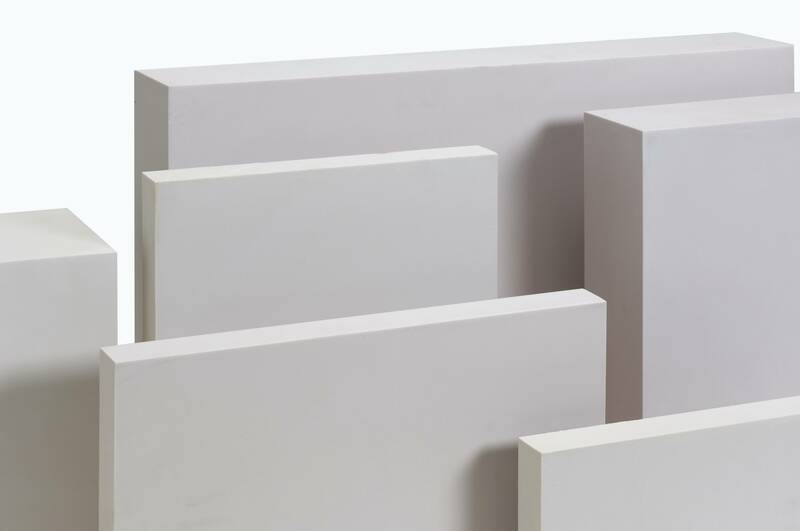 Did you know we will feature your company and its amazing Precision Board Plus HDU project for free? Increase the visibility and notoriety of your company by being showcased in one of our articles. All we need.. 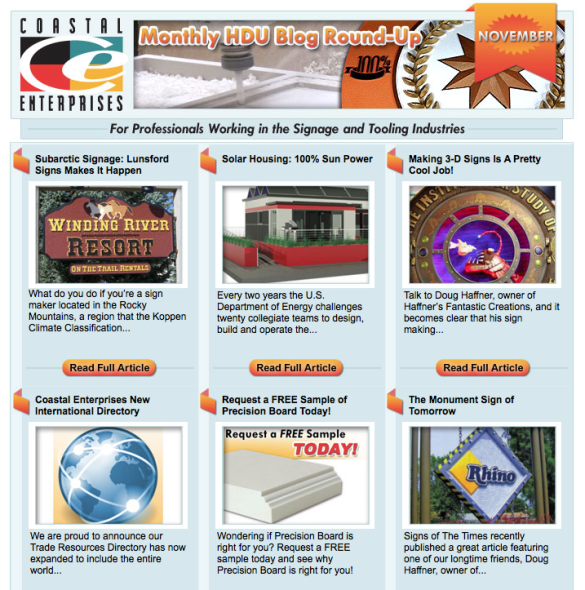 In the interest of furthering knowledge in the sign and tooling industries, Coastal Enterprises is proud to announce the addition of 2 new blogs to our website. 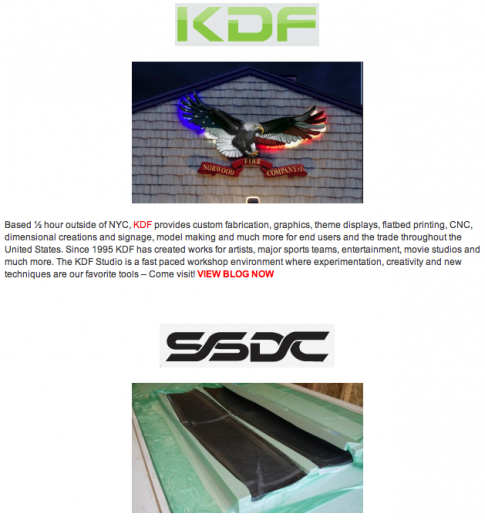 Please welcome the writings of: KDF Custom Graphics School Street Design Company Based ½ hour outside of NYC, KDF provides custom fabrication, graphics, theme displays, flatbed printing, CNC, dimensional creations..